Is Mistica Just Another Fruit Blend? 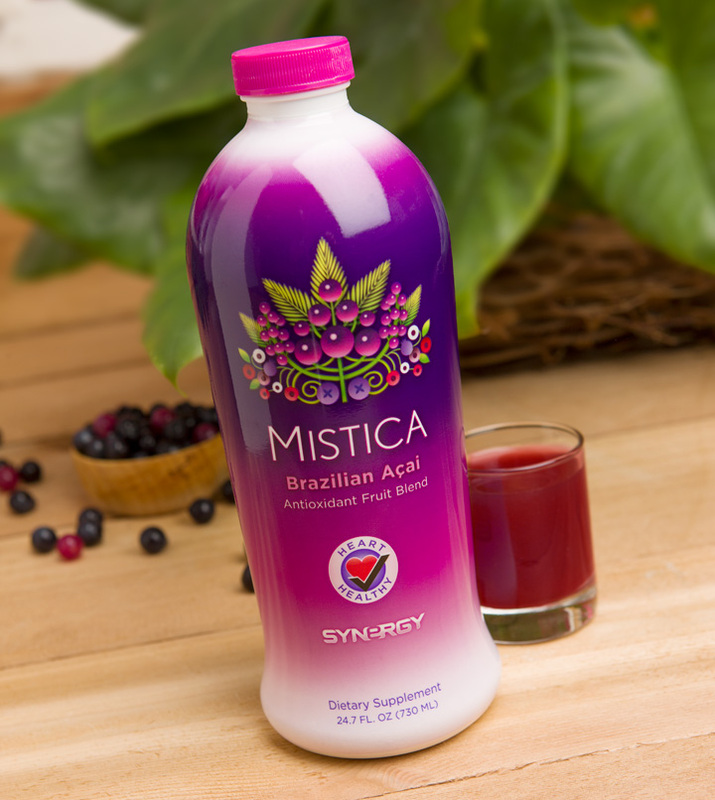 Mistica is Synergy’s powerful, potent anti-oxidant fruit blend. Anyone can taste it and tell you about the great flavor. Plus, Synergy has guaranteed it along with the rest of our quality-ensured product line. Also, if you talk to most Mistica users, you’ll hear them excitedly tell you about the benefits they’ve experienced. But is Mistica really so great? After all, there’s a big market out there. Many companies are currently pushing competing products. The Brazilian Acai berry has caught people’s attention for all of the good its capable of doing for the body, and has therefore become a buzz word everywhere. So, is Mistica just another product in a saturated market? The answer: No, Mistica is NOT just another fruit blend. It is truly a powerful anti-oxidizing supplement that is capable of helping people in many ways. The Mistica formula has been carefully designed to enhance your health and help your body fight free radicals. It has been designed to provide the natural power that has been sadly missing from most diets. The benefits Mistica users have been experiencing are real, and they are available to you. And when it comes to the competition, Mistica stands above. 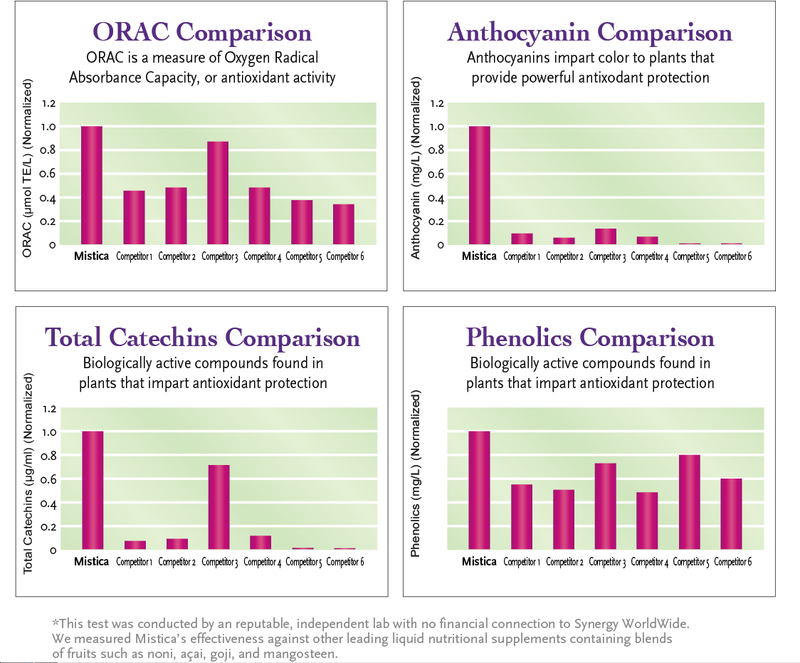 When it comes to antioxidant activity, the charts above show that Mistica was found to be the leading formula in all the ways that matter. The biological compounds are there in abundance. Every bottle of Mistica is filled with real free-radical fighting ingredients, not just filler. You don’t have to take our word for it. Check out any of the testimonials featured in the “Resources” tab of this blog or, better yet, start including Mistica in your daily health regimen to see results first hand. For more information on Mistica check out the product information page here.